The world imagined is the ultimate good. This is, therefore, the intensest rendezvous. A light, a power, the miraculous influence. Here, now, we forget each other and ourselves. A knowledge, that which arranged the rendezvous. Day creeps down. The moon is creeping up. Of images. Days pass like papers from a press. From Esthonia: the tiger chest, for tea. The freshness of night has been fresh a long time. More than, less than or it puffs like this or that. Of the floweriest flowers dewed with the dewiest dew. One grows to hate these things except on the dump. One looks at the elephant-colorings of tires. You see the moon rise in the empty sky. Where was it one first heard of the truth? The the. This week we will be building the reading list for the second half of the course. On Tuesday we will begin with a discussion of readings by the influential modern poets T.S. Eliot and Ezra Pound. Then on Thursday we will meet in the Mason Library archives for an introduction to the Modern Poetry Collection. As you explore poems written in the first half of the twentieth century, and choose a group of poems and a poet for the class to read, you will have the opportunity on Thursday to discover poems in first-edition copies of the books in which they were published. If you have not yet chosen a group of poems or poet, our time in the archive will give you access to a range of poems to explore. We will be working with a 2100-volume library of first and rare editions of American and Canadian books by a range of poets, including John Ashbery, Elizabeth Bishop, Gwendolyn Brooks, Frank O’Hara, Stanley Kunitz, Robert Lowell, Allen Tate, and William Carlos Williams. The library is a bequest from Frank C. Shuffleton, a Professor of English at the University of Rochester and a long-time summer resident of Harrisville, New Hampshire, who desired a place in the Monadnock region where his library could be shared and enjoyed by the community and serve as a learning resource for poets and students of literature. The inventory includes abbreviations for notable features of each edition. F = first edition; S =signed by author; SP = signed with a special note by the author; and # = a numbered edition (42 of 300). The Modern Poetry Collection, inspired by the 2011 bequest of the Shuffelton Library, includes includes the records (fifty linear feet) of Zephyr Press, one of the leading small presses, founded by Ed Hogan in 1980, that specializes in poetry in translation, particularly of the works of poets from Eastern Europe and East Asia. Zephyr Press is best known for publication of the first complete English translation of the works of the Russian poet Anna Akhtamova. The Modern Poetry Collection includes Aspect Magazine (1969-1980), the creation of Edward J. Hogan, of Somerville, Massachusetts. Hogan was a history major at Northeastern University in March of 1969 when he launched a magazine featuring social and political commentary by a small group of university students. Hogan subsequently expanded that magazine to include poetry, fiction, graphic design, and literary news and reviews. Aspect published many writers, poets, and artists that represented the “Boston Scene” of the late 1960s and 1970s. Issues of Aspect are available in digital format with notes and metadata from Keene State College undergraduate students studying American poetry with professor Mark C. Long. The Collection also includes the papers of former NH Poet Laureate Patricia Fargnoli, poet and Robert Lowell scholar William Doreski, poet and Worcester Review editor Rodger Martin, and the children’s poet Edwith Newlin Chase. For the remaining ten weeks of the semester we will be reading poems, and some prose, by American poets written between 1900–1960. First, you have some exploration to do in preparation for our study of these poets. I would like each of you to select a poet and learn what you can about her/his work and then select a few representative and/or exemplary poems for the class to read. I have put up a new page under Projects called Twentieth Century American Poetry that explains exactly what you need to do. Second, when I receive the poets you have selected, and your lists of poems, we will complete the timeline schedule, and build in links to the poems, whether in web or in print. Once we will build the schedule we will begin reading the poems and studying the life and work of the chosen poets. When we discuss the poems you have chosen, your role will be a “discussion partner.” This designation means that you will have studied the poems and will be an active leader in our-in class discussion. I’m going to encourage you to write periodic blog entries on what you are learning about the poems you are reading—in part to prepare for the final writing project in the course (more on that in a few weeks). Finally, I will reach out to each of you before your scheduled class discussion, too, to prepare for how we want to use the class time and to have a preliminary conversation about the poems and poet(s). To be clear: this is not a presentation requirement. Though you may want to provide Mark with ancillary materials to post on the class site so that others in the group will have relevant biographical and contextual information so that our time in class can be spent on the poems. The poets below and the collections will lead you to specific books of poems. For some poets, a selected (or collected) poems, if available, is a good place to start. However, one of the joys of learning about a poet’s work is discovering a poem in the book it was originally published, as well as learning how books of poems are distinctive—such as William Carlos Williams’ Spring and All (1921), Wallace Stevens’s Harmonium (1923), Elizabeth Bishop’s North and South (1946), or John Berryman’s Dream Songs in the 1960s. Nota bene: When you select the representative and/or exemplary poems and send them to Mark, please include the book of poem in which each poem was originally published. The intellectual work you are doing in this course includes experiencing writing, rewriting, and editing for publication as collaborative processes. All of my professional work as an editor has taught me how important it is to understand that self-directed writing is most productive when you are considering and incorporating changes based on feedback from others. While you are already publishing your work on the open web, your work will now become part of a collaborative process of publishing a book on the web–including a peer review process, editorial feedback, and copy editing. You are working on larger organizational structure as well as copy editing (mechanics, punctuation). To complete the editorial process and to move the manuscripts through the production process we will be forming teams to do the work. Editorial Team to go over the existing entries in the book and make any necessary corrections or additions. This will be an interesting and educational editorial process that will involve working with Mark. We will choose teams on Thursday September 27. As you absorb Whitman’s work I am interested in you considering his lasting presence in literary and cultural history–in the United States and around the world. If you are interested in his cultural presence, I will be happy to share with you writers from around the world who have acknowledged Whitman as a singular figure in their work as artists, social activists, and citizens. Whitman’s project addresses a number of inescapable human questions. He does not “answer” these questions but rather explores them and, in turn, offers an opportunity for the reader to think with him through the experience of poems. Whitman was interested in the affective range and capacity of works of art. The questions below are really clusters of questions that have arisen for readers of Whitman. 1. The question of art: What is art? (Samuel Johnson pointed out that it is easier, after all, to say what poetry is not than what it is.) What is poetry? How does art or poetry evolve? What is the relationship between tradition and innovation? One definition: art is art when someone has used one’s medium well. Is this thing well conceived? What does it do? How does one represent something like democracy? How does one represent a vision? How does one represent a feeling? How does one judge art? In what context and using whose criteria? Whitman demonstrates well that the form or structure or shape of a poem is the realization of a potential. This idea of an individual is a relatively recent phenomenon, dating back to the seventeenth century when humans are first fully considered as discrete subjects with powers that can determine their fate and the fate of history. The ideas of creativity, genius, and originality, further developed in the eighteenth century, are radical proposals and are at the heart of Whitman’s art. Whitman’s essential belief is that a person can respond to and engage with an environment and be changed by it. He acknowledges but seeks opportunity for the democratic subject outside the narrower and traditional hierarchal determinants of class and identity (good breeding, money, and so on). Whitman complicates the idea of the unified self and seems to anticipate a definition of the self as “conjectural,” to borrow a term from the anthropologist James Clifford. He rejects the idea of the self as something simply put together by a person, expressed, and confirmed by others as an identity. 3. The question of the community: In what ways does one address the problem of being together? How does one live with others? What is the relationship between the individual and the community? 4. The question of democracy: Whitman emerges as a writer in the permanently transitional space between an already articulated and as yet unrealized democracy. How does one invest in the redemptive possibilities of social experience and balance those opportunities with the ever-present awareness of limitations and complexity? If the experiment of democracy is articulated in a set of documents (Declaration of Independence, The US Constitution)—and managed through its institutions (The Executive, Judicial and Legislative branches) and public servants—what is the role of the individual who must attempt to renew a hope in a system that is continually disappointing? For instance, Whitman, writing at mid-century, was consumed by a staggeringly primitive question: which human beings are persons? Despite the theory of democracy that had guided the incipient nation the ideal of political unity had left unanswered the crisis of how one determines a person. Therefore there emerges an interesting convergence of art and policy that confronted a culture that lacked an effective or sustainable structure. The aesthetic ideal one sees in Whitman that seeks to rewrite a set of dichotomies—body/soul, individual/collective, nation/state, body/mind, writer/reader, master/slave—is therefore fundamentally a political ideal as well. Poetry and public policy in this sense are instruments of urgent, common work. How do we learn from our experience? How do we learn to think more deliberately? How do we change, adapt, grow? One of Whitman’s proposals is that we learn by doing, whether moving the body or the mind. There are literally hundreds of themes to consider when reading and thinking and writing about Walt Whitman’s poetry and prose. Whitman’s Prose and Poetry: Reincarnations of the 1855 Preface: consider the relationship between the prose and the poetry in the 1855 edition of Leaves of Grass; or, consider the 1855 preface in relation to Whitman’s later prose works, such as “Democratic Vistas” or Specimen Days. The evolution of Leaves of Grass: Consider the design, layout, and aesthetic development in Leaves of Grass (1855–1860). Whitman made important changes to Leaves of Grass between 1855-1860. Track down a copy of the first three editions (you can borrow my variorum edition) and consider specific changes and their significance for subsequent “epic” projects by poets and writers. Form and structure in “Song of Myself”: Formulate and discuss an approach to the organizational principle(s) of Whitman’s poem(s). Catalogues and meaning in Leaves of Grass: Sections 15, 16 and 33: what are the differences among these sections? Is there a deliberate or identifiable structure? If so, what is it and how does Whitman establish, maintain and loosen this structure in each catalogue. Whitman, religion and the self: Begin with Alfred Kazin’s 1997 book, God and the American Writer. Consider Whitman’s treatment and adaptations of religious myth and symbol and terminology. Whitman as American Adam: Early American theology was dominated by the concept of original sin, which stated that man was born into a fallen state. R.W.B. Lewis argues, in his book The American Adam, that Whitman provided one antidote to this philosophy. Whitman, individualism and the community: Consider Whitman’s treatment of the relations between the “I” and the “en-masse,” the celebration of the individual and the problem of community. Whitman and Censorship: Reading the contemporary reviews of Whitman’s publications one comes to see that his poetry and prose has pushed the limits of public taste and decorum. Consider the most extreme responses to Whitman that deem his book of poems inappropriate for the public he sought to reach through his writing. Phrenology and the Body Beautiful: Consider the relationship between the pseudo-science of phrenology and Whitman’s treatment of the body. Whitman as Nature Poet or Environmental Writer: consider Whitman’s vision of the relation between human and nonhuman world. America’s Poet/America’s Gay Poet: Conflicts in Memorializing Whitman: One way of mapping Whitman’s legacy is through the cycle of embrace and the rejection in the generations of his readers. Representations of the Poet (II): Consider how the later image and poem respond to, or modify, the 1855 image and text. Perhaps consider, more broadly, the frontispiece photographs and engravings of American poets, 1820-1890. Democratic Literature: Working with Whitman’s definition(s) of the literary, build an argument for the exclusive value and cultural importance of literature. Consider Whitman’s radical approach to the act of reading. Contexts of Reception: Whitman’s Cultural Presence is astonishing. Over a century after his death, Walt Whitman remains an extraordinary presence in American cultural memory. Films and television shows depict him. Poets and musicians allude to him. Schools and bridges are named after him. Characterize the overall response to Whitman’s first edition (1855) of Leaves of Grass as compared with subsequent editions. Compare the response of English and American reviewers to the 1860 edition of Leaves of Grass. Compare the 1860s reviews written by women to those written by men. The Emerson poem I really enjoyed reading was The Past but, when I went online and to the library I couldn’t find any context or information about the poem. I’m unsure if I was looking in the right places or if there is little bit of information. I was wondering if I should pick a different poem or stick with the one I like. And yesterday afternoon Cam and I talked about Emerson’s poem A Psalm of Life. In a fun conversation in my office we worked to generate observations for a descriptive commentary he is writing about the poem. At the core of this project is your work as a contributor to the available information on poems by Emerson (and other poets) in the public domain. Rather than asking you to be a consumer of information on the web I am inviting you to be a producer of that information to benefit others interested in or studying the literary and cultural history of the United States. To have your work published in the book, however, you will need to be thorough and exacting––both in your research and in your descriptive writing. The work we are doing is gathering factual information about the textual history and contextual information that will together enhance the reading of a poem. You are also taking part in a multistage editorial process that will lead to a published work. Collected Works of Ralph Waldo Emerson is the result of a fifty-year editorial process with the 2013 publication of the tenth and final volume of The Collected Works of Ralph Waldo Emerson (Harvard Belknap, 1971-13). The publication of the critically edited texts is a landmark for Emerson studies, and an indispensable resource for students and scholars of nineteenth century literary and cultural history. Each volume of the Collected Works (CW) has an introduction that offers reliable and authoritative textual and historical information. We are fortunate that Keene State College has added, at my request, this definitive edition to its holdings. Whether you are interested in his early sermons, essays and lectures, correspondence, or antislavery writing, you now have all of this textual material available.The call number is PS1600 .F71, a location in the library where you will discover shelves of Emerson materials. More specifically, we are gathering information about specific poems. So volume Vol. 9: Historical introduction, textual introduction, and poem headnotes (Albert J. von Frank; text established by Albert J. von Frank and Thomas Wortham) will be most useful. “The Past” is on pages 472–73. There is a headnote to the poem, the textual history, and variants of the poem (information that may or may not be useful for your purposes). A Concordance to the Poems of Ralph Waldo Emerson may also offer a useful way to gather evidence of how Emerson used and thought of the past. As it happens, Emerson uses the word “past” in twenty-six of his poems. In most cases the primary sources and concordance above should be sufficient. For other poems by Emerson, one might consult the Journals and miscellaneous notebooks of Ralph Waldo Emerson, edited by William H. Gilman et al. or Walter Harding’s Emerson’s Library a catalog of Emerson’s personal library based on M.C. Haviland’s card catalogue of the collection, now in the library of the Concord Antiquarian Society. Interpretive studies of Emerson’s poetry may be useful as well. For example, one might consult John Q. Anderson’s The Liberating Gods: Emerson on Poets and Poetry (U Miami P 1971) or consider the e-book by John Michael Corrigan American metempsychosis: Emerson, Whitman, and the new poetry (Fordham UP 2012). A check of the index to critical studies on an author, a literary work, or a body of work can turn up information (and the source of the information) that you can use, or perhaps to find a lead to trace back to the primary text(s). Once you have traced the textual history of the poem you might browse the Primary and Secondary Sources in the Mason Library A general key term search in the Mason Library holdings turns up 286 entries. An author search turns up fifty-three entries. Again, checking the index of volumes (such as author biographies) will often turn up useful textual or historical information about a poem. Recommended Electronic Resources Whenever you are introduced to an unfamiliar text, author or literary movement—or you are interested in gathering more information about a text, context or critical debate—the library makes available a range of electronic sources, subdivided into discipline-specific portals to the ongoing scholarly conversation about literature. Relevant e-sources are available at the English Library Guide page portal. It is your responsibility to know where the information is coming from. E-sources include peer-reviewed journals, web sites on particular literary sources, blogs and wikis, class notes, and so on. Cambridge History of English and American Literature Overview essays ranging from poetry, fiction, drama and essays to history, theology and political writing. 303 chapters and 11,000 pages on a wide selection of writing on orators, humorists, poets, newspaper columnists, religious leaders, economists, Native Americans, song writers, and non-English writing, such as Yiddish and Creole. Literary Criticism Online Includes The Dictionary of Literary Biography overviews (7500-10,000 word) of the life, work and critical reception of literary authors. The Dictionary series runs to more than three hundred volumes and is organized by topic and period. The hardbound volumes are on the shelf in the reference section of the Mason Library (as explained in the Recommended Resources list above) or you can read entries on your desktop. Electronic Resources and Archives A sea of information and materials lives (and dies) on the web. Some of it is useful. Some of it is not. This material is for the most part secondary, and often tertiary, as it is can be less reliable, as many of you have already discovered. In every case, your bibliography and further reading will not rest on the less reliable material. Finally, I highly recommend––for the work we are doing on this project, and for the good of yourself and others––to consider strategies for using web-based materials. One of the best resources is my former colleague Mike Caulfield’s Web Literacy for Student Fact Checkers. You can start with the sections Four Moves and Reading Laterally. Thank you all for your good work so far. As we are discovering, writing short commentaries as part of a collective of contributing editors to a publication is challenging and rewarding intellectual work. As the general editor for this project I am ready and willing to meet with you to talk about a poem, work on an entry, or help trace information that may useful to you in your work. 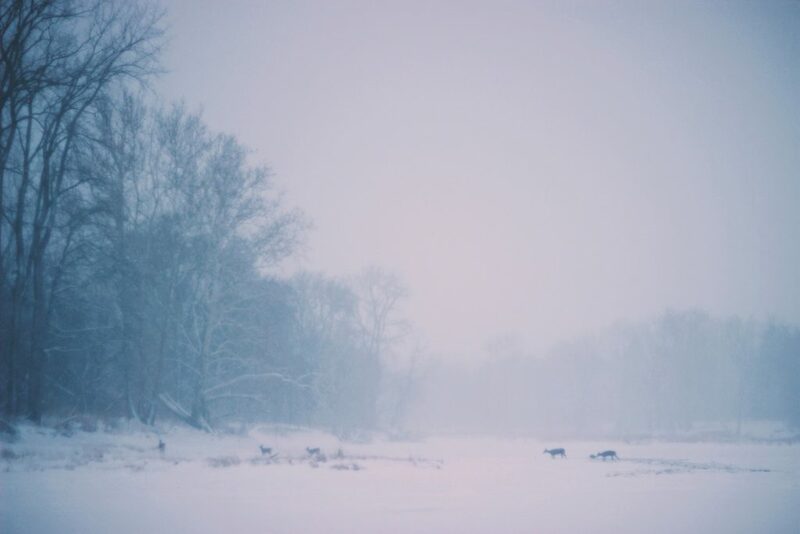 “The fate of the poor shepherd, who, blinded and lost in the snow-storm, perishes in a drift within a few feet of his cottage door, is an emblem of the state of man. On the brink of the waters of life and truth, we are miserably dying. The inaccessibleness of every thought but that we are in, is wonderful. What if you come near to it, — you are as remote, when you are nearest, as when you are farthest. Every thought is also a prison; every heaven is also a prison” (302). 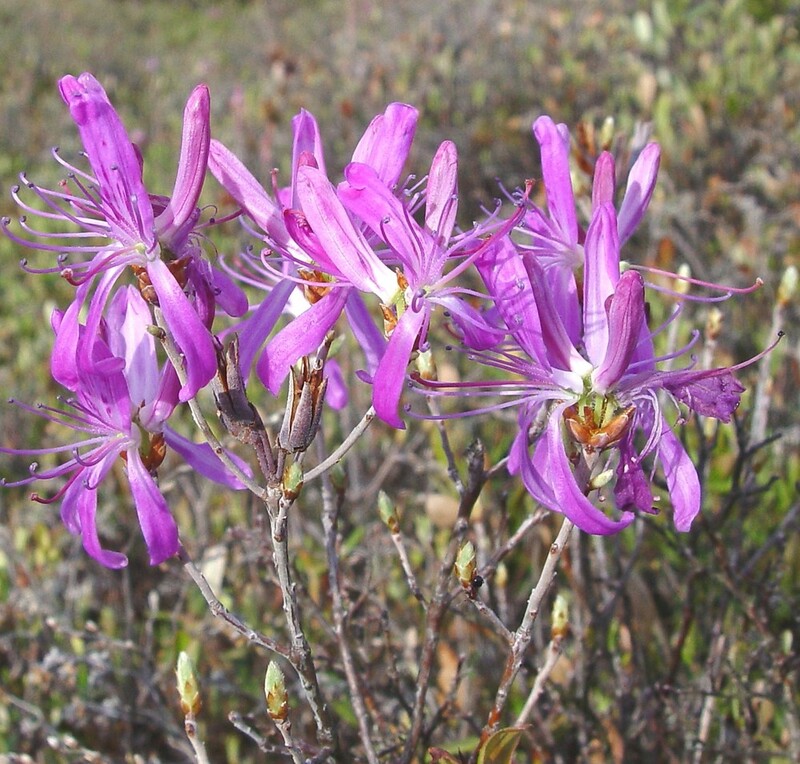 The Rhodora: On Being Asked, whence is the Flower? 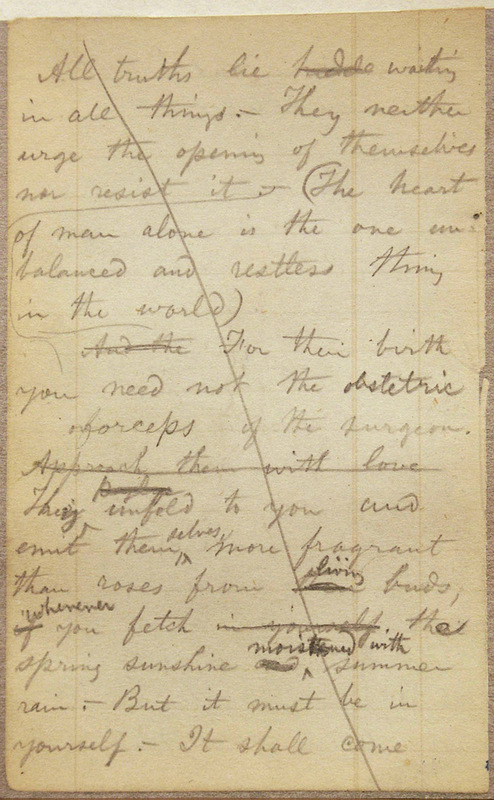 For further study of Emerson’s poetry, see The Poetry Notebooks of Ralph Waldo Emerson, ed. Ralph H Orth, Albert J. Von Frank, Linda Allardy, and David W. Hill (Columbia: U of Missouri P, 1986); and the recent Volume 9 of Emerson’s Collected Works, Poems: A Variorum Edition, especially the Historical Introduction, Textual Introduction, and Poem Headnotes by Albert J. Von Frank. The story we are building of nineteenth-century American poetry and poetics is one among many—starting somewhere, in our case with Longfellow; touching on a few selected poems to provide useful coordinates for further study; and building a literary and historical context for the rise of modern poetry in the twentieth century. Your choices of poems by Henry Wadsworth Longfellow are one of many beginnings—Fragments, The Arrow and the Song, The Arsenal at Springfield, The Old Clock on the Stairs, and The Wreck of the Hesperus. Together these poems suggest a poet adept at versification and storytelling. 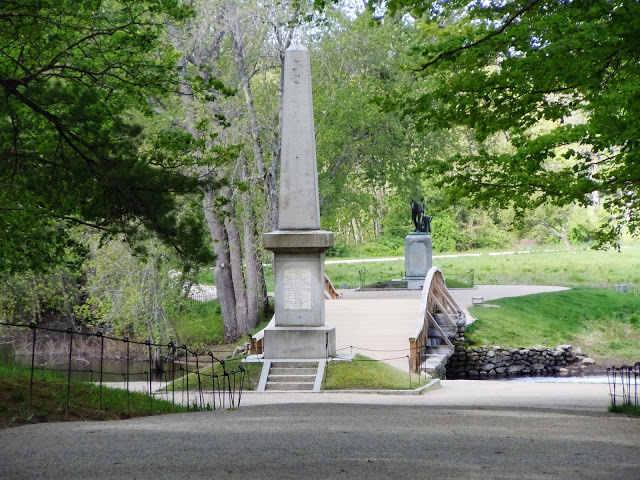 But if you are enchanted by Longfellow, there are places to go and poems to read. Take in the elegiac Mezzo Camin, the ballad The Village Blacksmith, or the nine-part poem The Courtship of Miles Standish. You will want to continue your reading in the long narrative poems, including the wildly popular narrative poem (written in unrhymed dactylic hexameters) Evangeline: A Tale of Acadie, a story based on the three thousand French settlers who were expelled from Acadie, near present day Nova Scotia. (This poem has appeared in over 270 editions and over 130 translations in ten different languages.) You will want to find your way into the twenty-two cantos of The Song of Hiawatha (written in trochaic tetrameter, after the Finnish epic poem Kalevala), a passionate and sentimentalized white man’s account of native American culture and tradition based on the author’s reading in George Catlin’s Letters and Notes on the Manners, Customs, and Conditions of the North American Indians (1841), the ethnographical studies of Henry Rowe Schoolcraft, and the literary writings of the Ojibwe Jane Johnston Schoolcraft, whose poems and stories were sources for Longfellow’s North American epic. Longfellow, along with John Greenleaf Whittier, Oliver Wendell Holmes, James Russell Lowell, and William Cullen Bryant—each of these “fireside or “schoolroom” poets were enormously popular. These artists and intellectuals who wrote not only poetry but sermons, lectures, essays, and journalism. They were among the first groups to imagine a distinctly American literary culture. And they were socially engaged and activist by temperament––though their sensibilities and poetics are perhaps described as more Victorian than democratic, and many readers have charged them with an overly sentimental or moralizing tone. The poetic conventions and affirmative themes of these poets are evident in their works. Consider, for example, this sampling of poems: James Russell Lowell, The Present Crisis, Ralph Waldo Emerson, Concord Hymn and Each and All, William Cullen Bryant, Thanatopsis, John Greenleaf Whittier, Burning Drift-Wood or Snow-Bound: A Winter Idyll, and Oliver Wendell Holmes’ Old Ironsides. 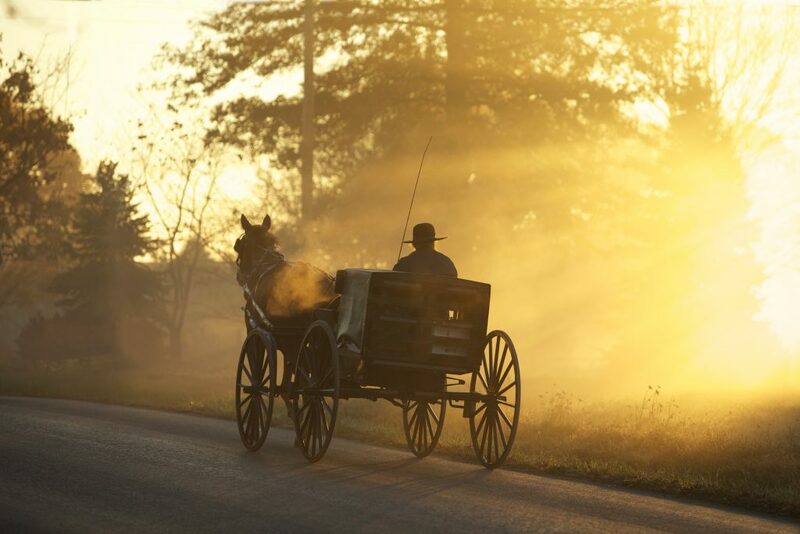 The use of conventional poetic forms, metrical cadences ideal for the use of poetry by many readers in nineteenth century America—for enjoyment, memorization, and recitation, whether at school or at home. 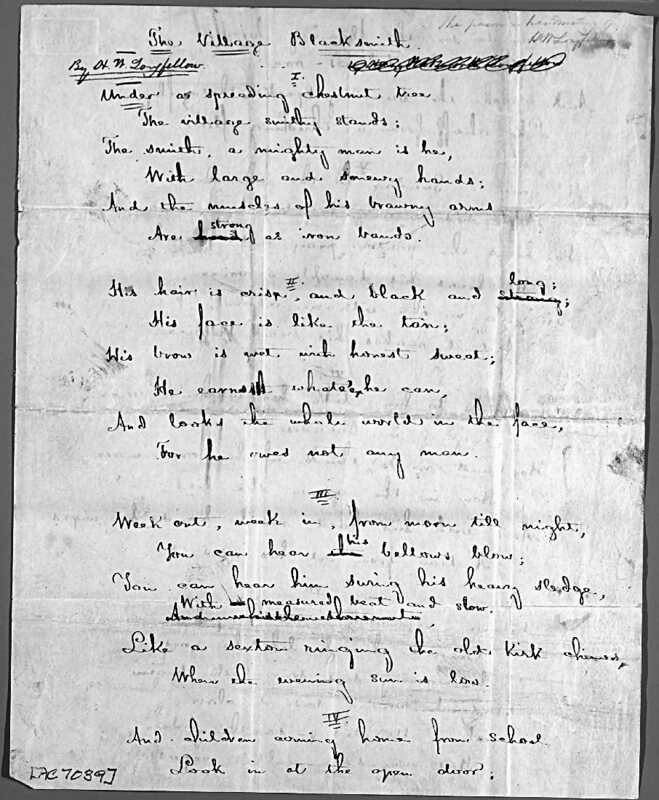 While one can point to the abolitionist writings of Whittier, Lowell and Emerson, many of the poems taken as representative of the Fireside poets affirm the dominant culture and promote social conformity. 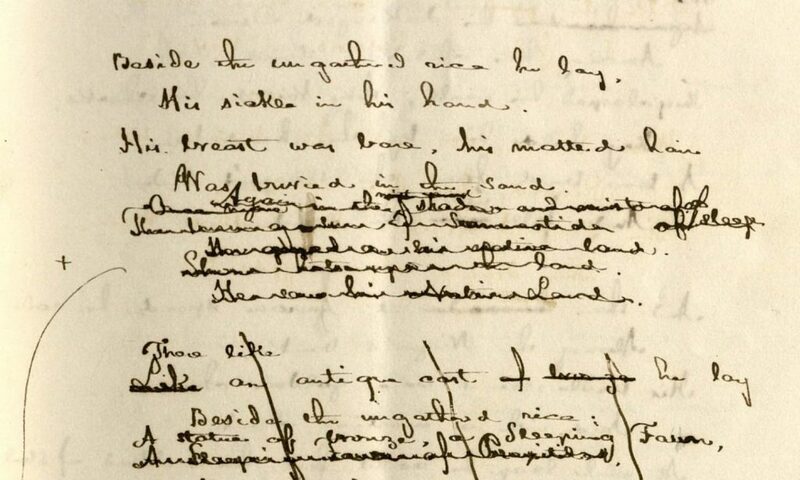 Henry Wadsworth Longfellow (1807-1882) “The slave’s dream” in Poems on slavery: autograph manuscript, ca. 1842. MS Am 1340 (76) – Trustees of the Longfellow House Trust, 1976.
collaborated as an anthologist, producing the anthology The Poets and Poetry of Europe as well as the massive multivolume collection Poems of Places. Still, Longfellow’s legacy has been mixed. A young poet named Edgar Allen Poe wrote in admiration of Longfellow but as Poe developed as a poet he opined that Longfellow was “a determined imitator and a dextrous adapter of the ideas of other people.” Similarly, others charged Longfellow with merely imitating European literature and affirming cultural commonplaces. And as American literature took shape in the United States in the twentieth century, critics such as F.O. Mathiessen effectively ignored Longfellow in the literary renaissance that produced the first installment in American literary history. This week we will turn our attention to a fabulously interesting moment in the history of American poetry when the dike breaks, as it were, and a flood of poetic forms begin to circulate in the culture. 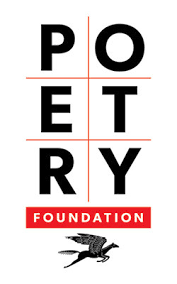 Longfellow’s uses and adaptations of poetic forms, Whitman’s barbaric yawps, the formal and conceptual dynamics of Dickinson––these selected poetic projects have engaged poets and shaped the context for subsequent innovations in poetic form. Notebook LC #85 | The Thomas Biggs Harned Collection of the Papers of Walt Whitman, 1842–1937, Library of Congress, Washington, D.C.
Below I have included some questions to ask a poem––a selection of queries that may serve to open up a poem in particular ways, and complement what Robert Pinsky calls the “hearing knowledge” we all have as speakers of language. The questions are points of entry that can guide us to ways of seeing, and thinking, gaining a deeper enjoyment and understanding of poems. You will also find some poems that you can use to try out some of these questions and see where they take you. Frames and Development: Title: is there an allusion? An occasion? Epigraph? Opening line(s)? How does the poem begin? What are the turns? Where are the turning points? How does the poem end? Does the poem seek or resist closure? Speech acts: Address? Apology? Command? Conjecture? Exclamation? Exhortation? Invitation? Invocation? Lament? Narration? Plea? Question? Retraction? Supposition? Vow? Etc. Prosody and Versification: counted lines (regular number of beats), free verse (irregular number of beats), prose. Is the poem long or short? Narrow or wide or irregular? What do you observe about the physical appearance of the poem on the page? Is it in stanzas? verse paragraphs? Are they regular, or do they change? Are there patterns of repetition? End rhymes? What is the rhyme scheme? Does it vary? Rhythm? What is the meter and where do variations occur? Alliteration, assonance, internal rhymes? Are the lines end-stopped or enjambed? How many sentences are there? Do the sentences coincide with or differ from the lines? Where do you get to breathe? Can you find pauses (caesuras) within the lines? Do these pauses always fall in the same place in each line? Are there parallel structures or repetition of phrases? Do you find instances of anaphora? Can you see patterns of contrast, cause and effect, or other organizational principles? Are there items in a series? Where would further elaboration of the series lead? Why does the poem stop where it stops? Order, Argument, Plot, Closure: Does the poem move forward in steps that suggest an argument? Is it logical? Is it persuasive? Does the poem pose questions and provide replies? Does the poem tell a story? Is there a pattern, such as a sequence? Repetition and variation? Refrain? Do subsequent lines transform the way we understand earlier lines? Describe the pace of the poem, after reading it aloud several times. Does the poem have strong or weak closure? Grammar: words, parts of speech (nouns, pronouns, verb, adverbs), phrase, syntax. Formal or informal? High or low? Abstract or concrete? Monosyllabic or multisyllabic? Does the work participate in a discourse? (i.e. psychology, theology, patriotism, dissent) Does the work have an implicit politics? Is the work inflected by gender? Does power operate in the work ? What is the most interesting word in the poem? Why? Are the lines of the poem full of nouns? verbs? What tense(s) does the poet employ? Does the poem employ adjectives and/or adverbs? Do the parts of speech employed suggest metaphors? (Many clichés work this way: “It was a heavenly day!”). Does the poem contain words in another language? Which language? (Does a poem that quotes Latin differ from a poem that quotes Yiddish?) Does the poem employ different kinds of diction in different places? What is the register of the diction? abstract, Latinate, proverbial, lowly, etc.? Does the language include absolutes? comparisons? contrasts? tautologies? Describe the tone of the poem: Does it change as diction changes? What is the relation between line and sentence? How does punctuation work to control the pace of a poem? Rhetoric: analogy, antithesis, apposition, metaphor, metonymy, paradox, personification, quotation, etc. What sorts of rhetorical devices are at work? Does the poem employ antithesis, bringing together contrasting ideas? Does the poem explore a paradox? Does the poem use the figure of chiasmus, or a criss-crossing inversion of words or phrases? Does the poem rely on a riddle? Does the poem deny what it is doing (litotes)? Does the poem employ oxymoron, or condensed paradox? Does the poem contain a proverb or a fable? Does the poem illustrate its point with exempla (brief exemplary anecdotes)? Movement or Change: Evaluate the changes or shifts in the poem: changes in diction, syntax, form (meter, rhyme scheme, stanzas), speaker, mood, tone, metaphorical register, image patterns. How do changes or alterations in pattern work: by inversion, by contrast emphasized by parallel structures, as a response to an event, or an image, or as part of a dialogue? Are the changes a part of an implied plot? Does tension build up? If so, how is it released? Does the poem place change between equilibrium and restored order? Is there a sudden reversal, change of direction (peripety), or a drop in level (bathos)? Does the ending make a significant change? Person, Speaker, Persona: Who is speaking, and to whom? Are names provided? Do you have a sense of age, gender, rank, relationship? What is the person of the address (first, second, third, plural and singular)? Is something/one absent being addressed? or something/one present? Does the poem employ apostrophe? What questions does the speech invite? What questions does it discourage or prevent? Is there more than one voice? What motivates the speech? Does the utterance erupt out of a situation? What is the purpose of the utterance? What other purposes does the speech serve? Is there a gap between the speaker’s intention and the implied intention of the writer? Imagery: What objects or images are named by the poem? Are the objects or images related or unrelated to one another? Are art objects described? (exphrasis). What attitude does the speaker have towards the objects or images? Are the objects defamiliarized? What kind of imagery is employed and how completely is it elaborated? Is there a need to speak about a subject covertly, in code, elliptically? Does the comparison celebrate, elevate, or otherwise transform its subject? Metaphor, Simile, Metonymy, Synecdoche: Does the poem use similes in an explicit comparison, with the words “like” or “as”? Are the objects carrying a metaphorical burden? Where does this relationship break down or become hard to untangle? What kind of metaphors do you find in the poem? Do the metaphors encourage an allegorical reading? Does the metaphor go so far that it becomes farfetched? (catachresis) Is the metaphor worked out in elaborate detail? (conceit) Do the objects or images stand for related concepts, of part and whole? (Look up metonymy and synecdoche). Does the poem employ both metaphor (or simile) and metonymy? How are the metaphors/metonymies related to one another? What motivates them? Other Questions: What does the work foreground? What does the work let slip? What does the work attempt to bury? Is anything conspicuously absent? Does the work, or a part of the work, resist interpretation? Where? How? Why? Of what kinds of discourse is the work comprised? Certain discourses imply conceptual structures (“Our sublunary love” suggests the Ptolemaic universe, for instance). Does the work employ different kinds of discourse suggesting more than one conceptual structure? What is their relationship? Do they clash? Mesh? Suggest a development? (Conceptual structures may limit the extent of possible knowledge, making some phenomena unrecognizable.) Does the work pose an epistemological problem? Does the work present alternatives? Does the work ask questions? Does it use small questions to ask a serious, unstated question? Where are the breaks? Breaks may appear at the level of the form, the sentence, the imagery, the metaphor, the scene, the speaker, etc. and they may work with or against one another. Where are the knots? When does the language make the reader work, and to what end? Where does the work become unintelligible? Why? What word or phrase marks the work’s stress point(s)? Does the work interpret itself? Does the work make a statement about language, reading, or writing? What aesthetic values does the work embody or propose? Does the work have a moral stance? Can you describe its attitude? he’s not feeling up to snuff. -W.S. Merwin, Poetry (September 2003). else is there? And to do? Reading, thinking with, and writing about poems––these are the three primary activities in this course. My aspiration is that you will discover in these activities the pleasures of poetry in your life. For reading, thinking, and writing engage the body and the mind and awaken our capacities for feeling and thought. So much depends upon your interest, curiosity, and dedication––in this case, to exploring and expressing what happens when poems enter into your life. You will be writing to discover what matters to you (not to me), organizing what you are learning in the unfolding conversation in poetry and poetics that you are joining, and sharing what you have to say with others who might benefit from what you have to say. In his 1962 book The Continuity of American Poetry, Roy Harvey Pearce proposes a history of the poems that “teach us how to read our world, the better to think about it.” For Pearce, the continuity of poetry in the United States has since its inception been antinomian—resisting the inheritance of cultural tradition while at the same time renewing the enduring commitment to language as well as the values language transmits. As a consequence, Pearce conceives an “inside narrative,” a story of “commitments and results, aspirations and accomplishments, theory and practice” (10) as exemplified in the poems that have mattered—those “great inventors” who have made “a considerable difference in the way poets have made their poems and readers have had to read them” (420). As a class, we will test these assumptions and extend Pearce’s insights into the way a tradition of literary and cultural production continues. To this end we will trace the history of American poetry from the nineteenth century to the middle of the twentieth century. One of my contributions will be to identify the poems and poets and ideas that shaped the tradition and that make possible imaginative and formal innovations in the art of making poems. We will explore formal developments in modern American poetry, in exemplary and representative poems, as well as pursue the critical and theoretical questions these developments raise—with a special focus on writing by working poets as they attempt to define, delineate and develop a poetics. Exploring the complex terrain of modern and contemporary poetry will make available to you the excitement and attendant controversies that circulate among readers and writers of poetry, and grapple with broader questions about language, culture and imagination.